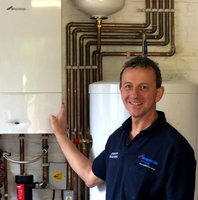 J Fishwick Heating provide all gas central heating and plumbing installation including new boilers,servicing and repairs in the Maidenhead, Cookham Marlow, Henley and Windsor areas. We are a family run business established in 1988,WorcesterBosch Silver Accredited and Gas Safe registered (no:94480). New boilers are guaranteed for 8 to10 years and we hold full public liability insurance. Extremely helpful with respect to central heating servicing, gas cooker installation and electrical advice. We will definitely call up Justin and Peter , his electrician, again. Prompt, courteous and reliable service in a very busy area !